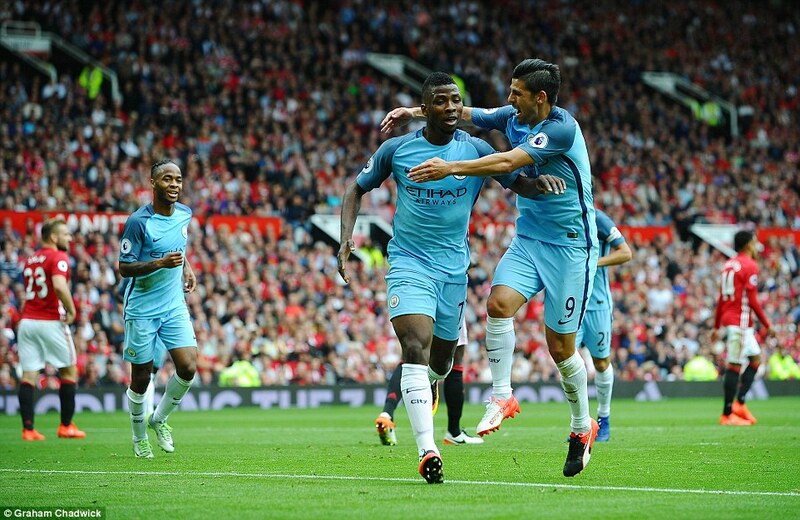 Kelechi Iheanacho was the hero of the Manchester derby as he scored the vital goal that ensured Manchester City smile home with a 2-1 win over Manchester United at Old Trafford in Saturday’s early Premier League match. The Nigeria international who replaced suspended Sergio Aguero in today’s encounter proved the City coach, Pep Guardiola right by grabbing the second goal in the 36th minute with a simple tap in after Kevin de Bruyne had giving the visiting the early lead in the 15th minute. However, before the half time break, Zlatan Ibrahimovic reduced the scoreline for Manchester United when he capitalised on Man City goalkeeper, Claudio Bravo’s error to give the Red Devils a lifeline. All efforts by Man United to equalised proved abortive as the the defensive partnership of John Stones and Nicolas Otamendi were solid till the end of the game. Iheanacho’s goal was the first for the Citizens this season and he will be hoping to maintain the form in subsequent games despite been substituted in the 53rd minute for Fernando.